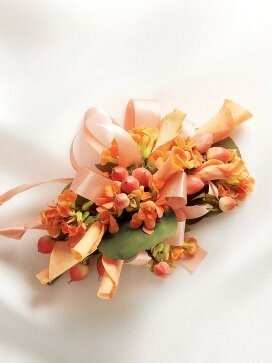 This adorable sweet peach rose corsage has a very vibrant, vintage feel. A classic combination of soft peach and burnt orange provides an all amazing array of colour sensation! 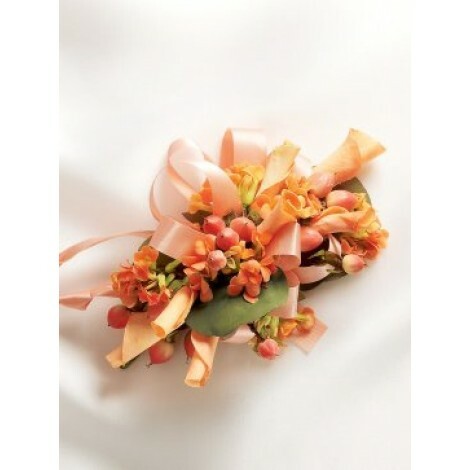 Perfect for any special occasion this outstanding, classic creation is a true elegant and feminine floral accessory. 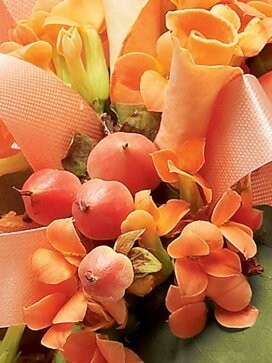 Featuring; 2 orange kalanchoes, 1 peach large-headed rose and 1 peach hypericum finished with eucalyptus and satin ribbon. This corsage is approximately 10cm (w) x 15cm (l).